Front: Full Yet? - Nope. With the hay shortage much of the country is experiencing, this card may be anything but funny, but I decided to include it anyway. 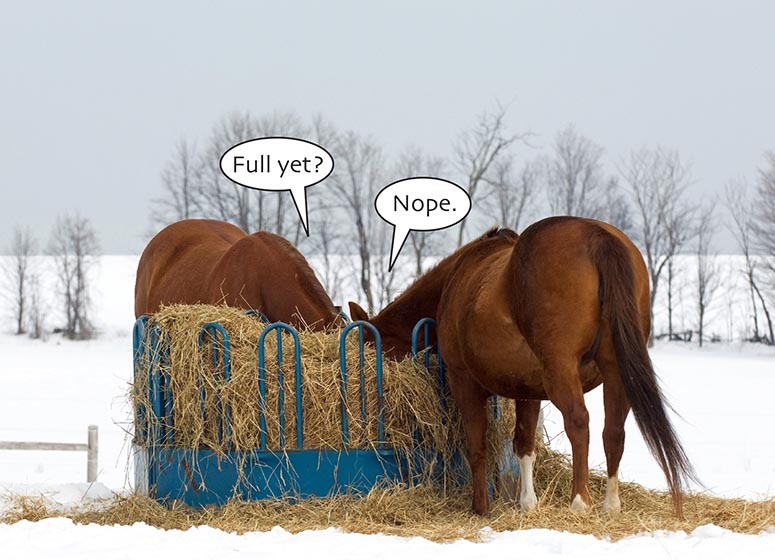 My own horses are gluttons, and quickly become "wide-bodies" if allowed unrestricted access to hay or pasture. Photographer Christina Handley tells us that these girls are expecting, so their cravings and portly statures are justified.